This documentary film comes out of the Cinema Libre movement which promotes socially conscious and politically-minded filmmaking. 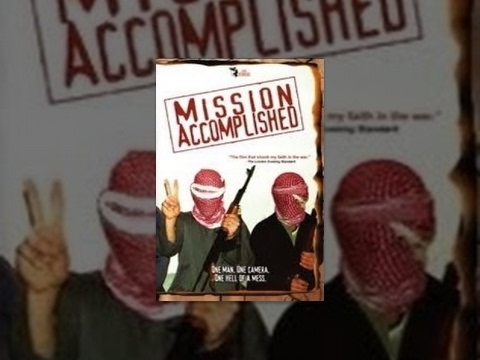 Mission Accomplished tackles the subject of the second Gulf war. It takes a critical look at the US involvement in the war but also tries to accurately represent several points of view. By spending time with US soldiers who are risking their lives overseas the filmmakers attempt to capture the experience of being young and at war. Meanwhile the film also takes special care to show the other side of the story from the perspective of those Iraqi people who have become the war’s biggest victims. A collection of sensational rare and unseen video footage of the Second World War brought to life in colour. A film series made with the cooperation of the Imperial War Museum, designed to make the Great War come alive for a 21st century audience. This documentary takes us deep behind the lines of the Vietnam War to follow thirteen American soldiers and their stories firsthand.